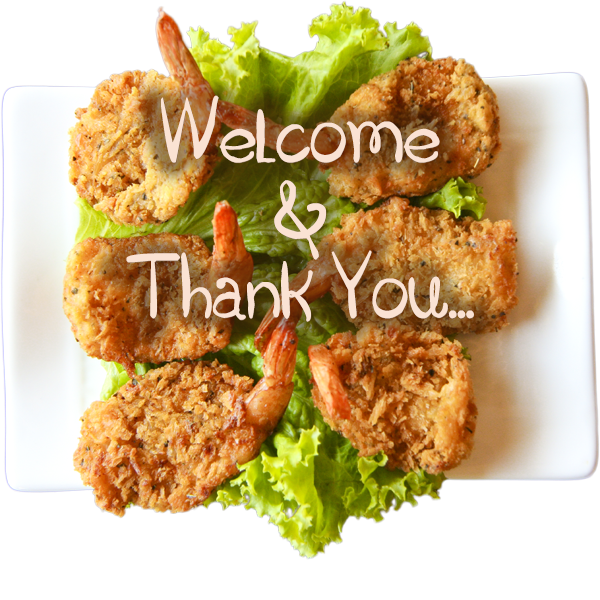 Are you someone who likes to make new things for potlucks or do you like to stick to your tried-and-true recipes? I’d say I lean towards making new things because 1) food blogger tendencies and 2) I just love making new things. Since Tuesday was National Night Out, I obvi jumped at the chance to make something fun and new. 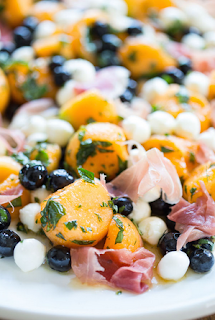 While I made something similar up at the cabin this summer when I made Foodie Crush’s Cantaloupe Caprese Salad, I decided to jazz it up a little with some blueberries and also changed up the dressing a bit resulting in this Cantaloupe Blueberry and Prosciutto Summer Salad. The result? A salad that is seriously bursting with summer flavors and is deeeelish. While I didn’t ask anyone what they thought (it’d be a little weird interrogating each neighbor with “what’d you think? do you like it? tasty, right? !”) I can personally attest that this salad is insanely delicious. I mean, it just screams summer, amiright? Fresh cantaloupe, fresh blueberries, the cutest little mozzarella pearl balls and fresh basil and mint….it does not get much better than that, folks! To tie all together I just went with a super simple vinaigrette with olive oil, white wine vinegar, and agave because really the ingredients of the salad shine on its own. Combine cantaloupe, blueberries, mozzarella, and herbs. Make dressing by combining in a small mason jar and shaking well. Pour over salad and stir well to combine. 0 Response to "Cantaloupe Blueberry and Prosciutto Summer Salad"